This wine is from Pinot Noir grapes grown on our sustainably certified Home and Sturkenboom Vineyards. The vines were carefully shoot thinned and leaf plucked to give the berries optimum exposure to the sun. Slow to ripen bunches were removed by hand thus ensuring the grapes were perfectly ripe at the time of picking. 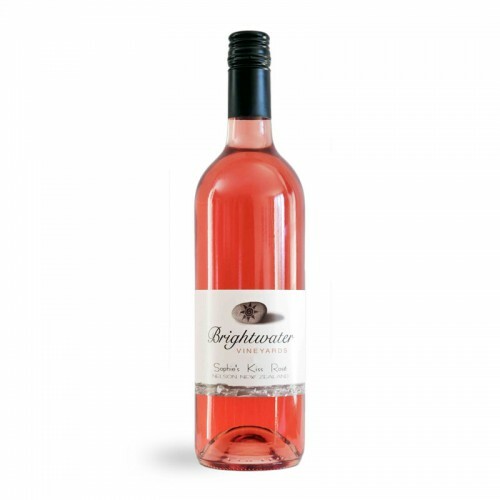 40% of the grapes were hand picked and whole bunch pressed giving very delicate berry and floral characters with minimal colour and tannin extraction. The other 60% was juice bled from our Pinot Noir fermenters after 24 hours of cold soak. This portion contributed more robust berry fruit flavours and tannins along with a richer colour and mouthfeel. The two portions were then cool fermented with neutral yeast to maximise varietal aroma and flavours. After 30 days on yeast lees the wine was assembled and bottled. In celebration of our wonderful Nelson summers we have created this exuberant Rosé – named after our daughter Sophie!